I love travel. I enjoy seeing new places and new things. Sometimes I even enjoy meeting new people. Travel is a great way to broaden your horizons and even learn more about yourself. Planning can make everything better. No matter what you’re doing, a good plan can be a great help. Before you go, plan your trip out. Figure out where you want to go, and what you want to do. You don’t have to stick exactly to the plan (a little flexibility makes for a better trip), but if you have your airfare, hotels, and rental cars arranged ahead of time, it makes things a little smoother. Even if you don’t get everything locked in ahead of time, at least have a good idea of your options. Know what train options there are, what public transportation is available near your hotel, and what interesting sights can be seen in the areas you will be visiting. 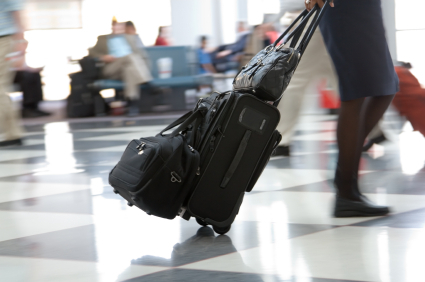 A basic plan can help you know what to expect and it can smooth the way as you travel. My husband enjoys travel much more when he knows there is a plan. Being rushed can kill just about any travel experience for some people. Give yourself plenty of time to pack so that you don’t forget anything. For major trips, we open the suitcases and begin packing about two days out. That way, we have plenty of time to add things, rather than forgetting items at the last minute. Also, give yourself plenty of time when you visit a new place. Don’t try to cram in a bunch of stuff. Either plan a longer trip, or prioritize what you want to do most, and do those things. The best trips my husband and I have had to New York City are those when we plan one morning thing, one afternoon thing, and one evening thing. We can take all the time we want at each location, and we aren’t sweatily rushing off to try something else. Of course, this works best if you know you will be returning. Even if you aren’t sure you’ll be returning, you can still have an enjoyable experience if you focus on the most interesting things, and take your time to savor them, rather than rushing around trying to hit everything on a ridiculously long list. For me, this usually means food. I like trying local fare and specialties when I travel. To me, food is an essential part of the travel experience, and one of the best ways to experience another culture. Look into ways you can experience the local culture, whether it’s attending a traditional performance of some kind, or whether it’s visiting the local bazaar. Look for ways to really get into the local flavor of the place. Looking at landmarks doesn’t seem as interesting or as important when you are actually experiencing something completely new in terms of culture. In some cases, you (or the person you’re with) might not be into planning it all out and really getting into the local culture. In some cases, travel is really about vacation — as stress-free as possible. And that often means having someone else plan it all. Deciding to join a tour or go on a cruise can be a way to improve your travel experience if you’re a hands-off, no-hassle kind of traveler. My husband is a perfect candidate for a cruise: You go, have a “base” for all your stuff, and you call at different ports to enjoy the various sights. Best of all, you don’t have to plan anything out. What do you think? What’s your preferred way to travel? It’s very important to really immerse ourselves into their culture when we visit places and it’s good to try out the different food the place has to offer, except of course, if you have a sensitive stomach and being adventurous when it comes to food is definitely a no-no. That’s a good point, that you have to know your limits. I’m pretty sure there are some things that I would try (like balut) but, for the most part, being open can be a great way to get into the local culture and enjoy your experience much more. Yes to that “immerse yourself into their culture” most especially if it’s a country that is rich in culture like Japan, China, or Korea. All good points! I would add having a contingency for the unplanned opportunities that always come up when you are traveling. Great idea! I like to have a back up credit card somewhere safe (not in the same place as the main card). Knowing that you have a fall back can bring peace of mind. All good points. I also like to read up as much as possible about the places. It serves two purposes (1) I learn more about the culture, food, non-touristy places, etc. (2) In case of an emergency I know where to go, where to stay, any hospitals. Good idea to prepare ahead of time. It can also help you make friends in the culture, since people are pleased when you take the time to get to know their mores and history. I like adventurous trips, pick a point on the map and just get there to see what there is. Last summer we picked North Cape at the North tip of Norway and got there from Greece, crossing all Europe. We did plan for the next few days interesting cities or national parks but other that this just went with the flow. We do the same thing. We cut up strips and throw them in a bowl and then pick one. It is awesome. It is really best to plan your trip ahead. Make a plan b so when something bad happens during the trip, you have have an immediate solution to the problem.